I had been following Lacey's pregnancy journey on Facebook for a few months. We became Facebook friends through a military wives page in Twentynine Palms. I loved reading her updates and learning what was new in her pregnancy. From finding out Declan was a boy, to seeing all the cute clothes that were arriving at their home. 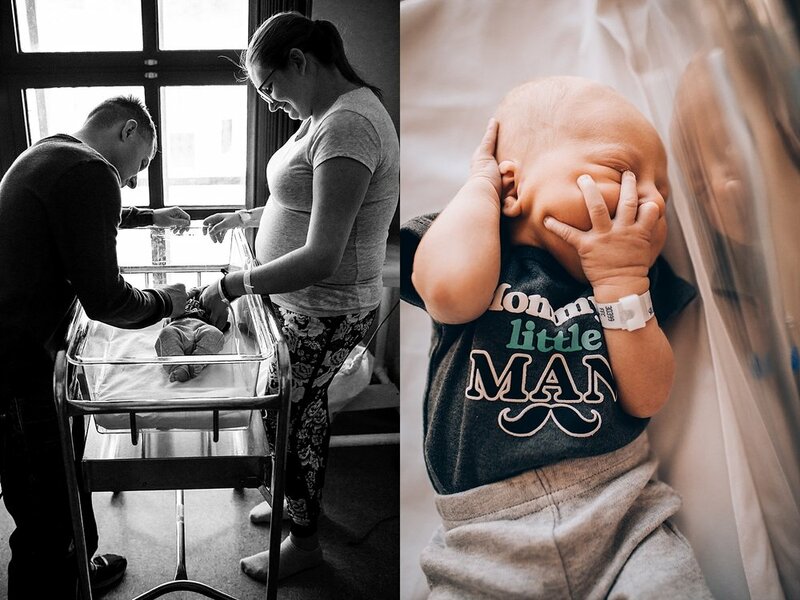 Lacey and Chris had struggled with some infertility, so Declan is quite literally their miracle baby. As someone who also struggles with infertility, I love this happy ending, even if it is just the beginning of their story! On top of that, towards the end of Lacey's pregnancy, there were some issues that developed which lead to Mr. Declan arriving a full 3 weeks early. Lacey's parents were able to make it in time for the delivery and to be able to get in on some first bonding moments. Chris' parents unfortunately caught a bit of a sickness and didn't want to risk giving anything to the baby so they were unable to make it for these photos. But they definitely got in some good bonding time with him once he was released from the hospital. Thank you, Lacey & Chris for trusting me with these moments. I am so thankful and honored to have been apart of them. Declan, baby boy, you are SO LOVED. If you or someone you know is looking for a Twentynine Palms Fresh 48 Photographer, I would love for you to CONTACT ME today to talk about your own special session!